Dr. Michele Shaw has been a nurse for more than 20 years and has interacted with families and their children in a variety of settings. She has worked as a staff nurse in labor and delivery, antepartum, postpartum, and in home health care settings. 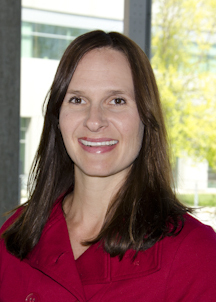 Her research focus has been primarily on children with asthma and their families. 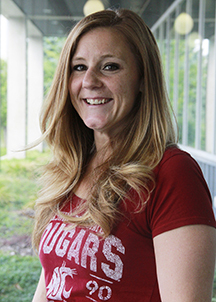 She has a passion to continue learning about the family and child’s perspectives with goals to develop and test new nursing interventions to help improve the health and quality of life for this population. Dr. Shaw has extensive experience completing qualitative and quantitative research studies to explore pediatric asthma. Having a daughter with asthma herself, Dr. Shaw realizes the overwhelming presence that a chronic condition can play within the family and child’s everyday life. Other research interests include maternal child health, addictions, and the influence of technology/media on women’s birthing experiences. Variables Impacting Hospitalization and re-admission among Children with Asthma. Exercise Perceptions of Hispanic Children with Asthma. Preventing Hospital Visits among Children with Asthma: A Grounded Theory Exploration. First Time Mothers’ Experience of Self-preparing for Hospital Birthing via the Internet and or TV shows: A Heideggerian Phenomenological Study. Rural Versus Urban Participants in the Parent-Child Assistance Program (PCAP): Are there Differences? Grand Multipara’s Embodied Experiences of Natural, Technology-altered, and Oxytocin Births: A Heideggerian Hermeneutic Analysis. Nurse Perceptions of Caring for Opioid Using Pregnant and Postpartum Women. Fleming, S., Vandermause, R., Severtsen, B. & Shaw, M.R. (2015). Experienced Mother’s Embodied Birth Experiences of Technology-Altered and Oxytocin Inductions: A Heideggerian Hermeneutic Analysis. Journal of Reproductive and Infant Psychology. (in peer review). Benavides Vaello, S., Shaw, M.R., Oneal, G., Holliday, C., Katz, J. & Vandermause, R. (2015). Latina Novices in Diabetes Self-Care. International Diabetes Nursing. (in peer review). Shaw, M.R., Lederhos, C., Howell, D., Haberman, M., Fleming, S., & Roll, J. (2015). Nurses’ Perceptions of Caring for Childbearing Women who Misuse Opioids. MCN The American Journal of Maternity Child Nursing. (in press).